Just a few months ago I had the chance to photograph the wedding of a fun and adorable couple at Plum Creek In Carmel Indiana. It was a rainy day, but thankfully we were able to sneak out and capture some amazing images. The venue was perfect and the entire family enjoyed partying the night away to celebrate. 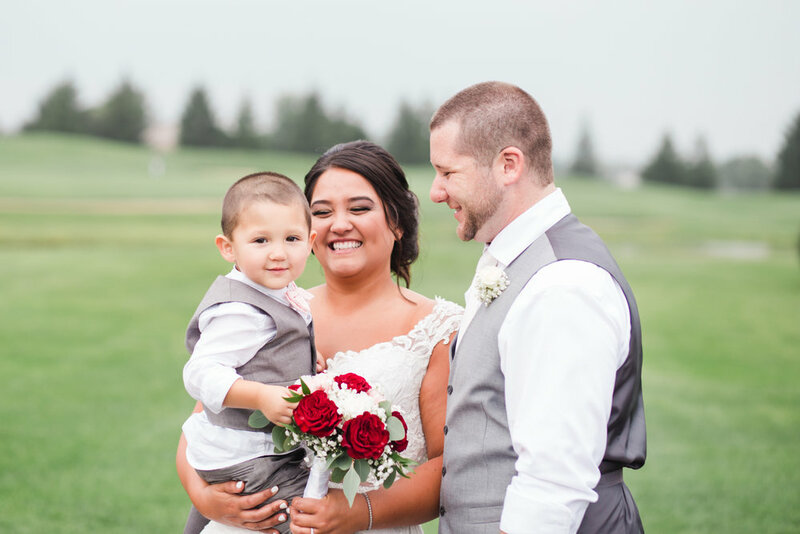 This little man stole the show and was definitely the most adorable little part of his mom and dad’s special day. I love wedding with kiddos as they add so much love and joy to the day, especially the reception! If you are getting married soon and looking for an Indianapolis Wedding Photographer to capture your special day, I would love to connect over coffee (or cocktails) to learn more about your love story! When I met this couple in the spring could tell right away how much love and connection they share. 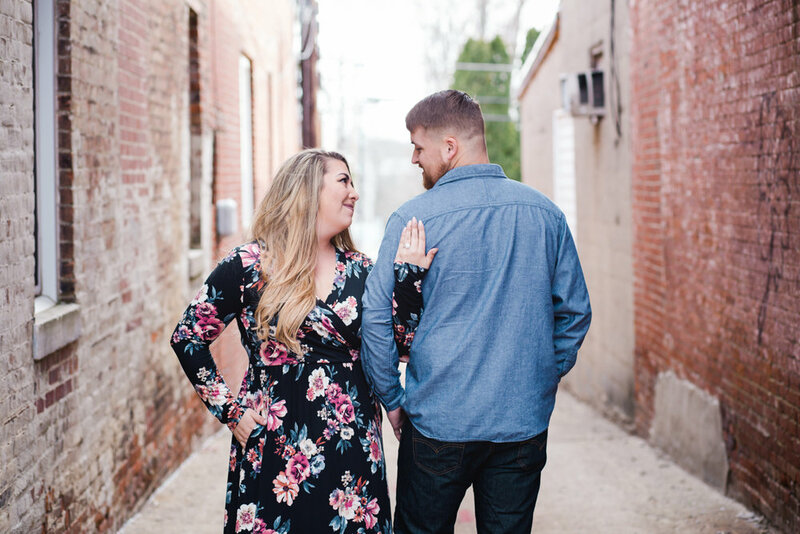 I am so excited for their wedding in August and this little engagement session was a wonderful opportunity for me to get to interact with their family and connect prior to their big day. This couple also brought their son with them so he could join in on some of the photos. He was such a sweet and polite little boy. I can't wait to see him all dressed up for their ceremony. This couple decided on Cool Creek Park for their engagement session. 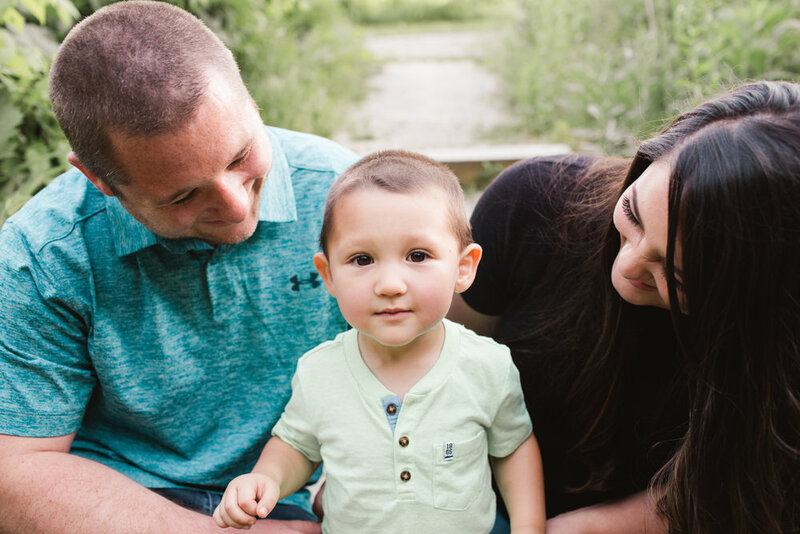 Cool Creek Park is a great location for Indianapolis engagement, family or maternity photos! They have so many great backdrops and some of the most beautiful light during the sunset hours. If you are in the market for an Indianapolis wedding photographer, I would love to be your girl! Give me a shout and let me buy you a coffee (or wine!) while we chat about how to capture your amazing and special day! I officially had my first engagement shoot of the year, which took place right outside of Indianapolis, and it could not have been a more perfect night for it! Even though it was late February we were able to sneak it in during some of the warmer weather that popped up over the last few weeks. This beautiful couple was so much fun to work with and they picked a great spot for their images, Downtown Danville. They will be having their wedding in the fall at The Blanton House which is an adorable venue in the Danville area. I am looking forward to capturing their wedding day, and this engagement session made me even more excited! You can tell how much these two care for each other and I am so excited to see them tie the knot in September. As a former event planner I love the hustle and bustle of wedding day. 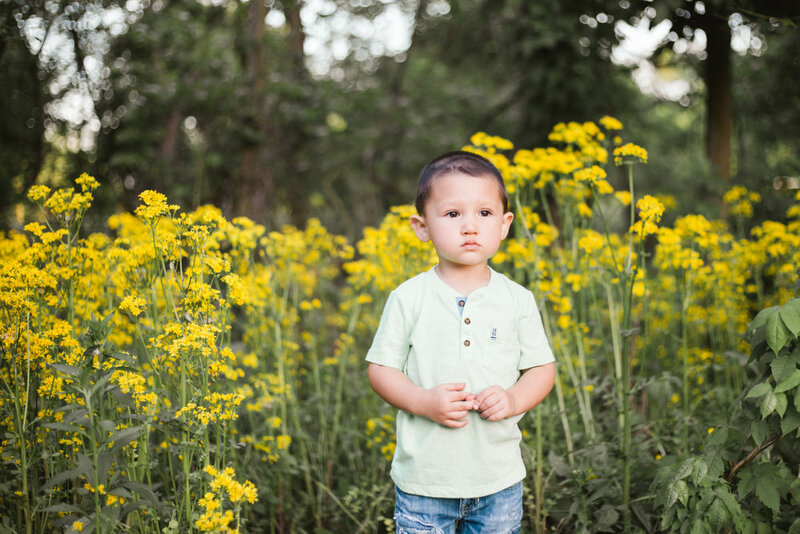 There is something so special about capturing the little moments as they naturally unfold throughout the day.